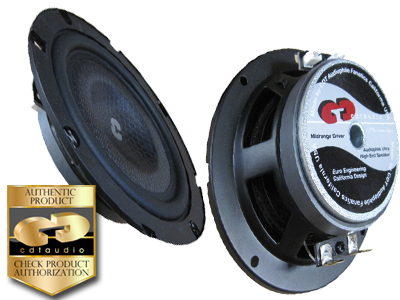 The CL-Series Mid-woofers are designed and built for the unique demands of the car audio environment. They are built to deliver the truest in-car sound possible, the most accurate and natural performance. The cone of CL-6SL midrange is made of a honeycomb matrix. Producing unrivaled midrange that is engineered just for your car - to make the perfect blend with any CDT tweeter and crossover.